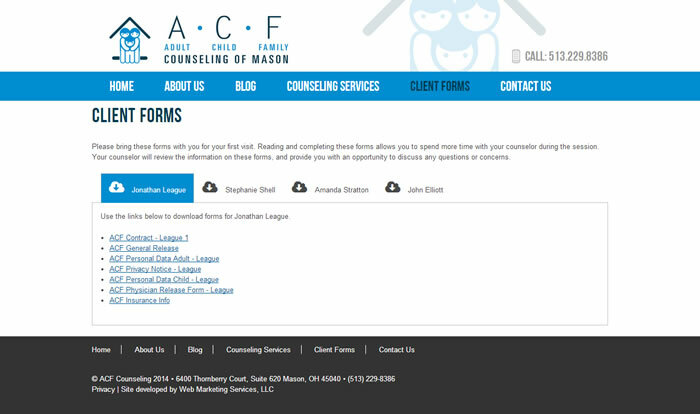 ACF Counseling is an Ohio based organization with a team of clinically excellent, highly compassionate professional mental health counselors. 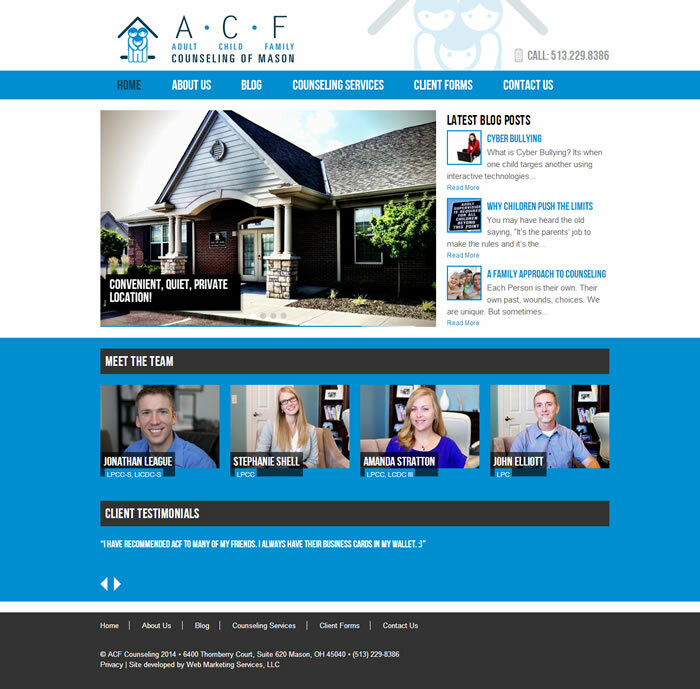 It was important that their new website reflect this same commitment to excellence. This custom designed site is fully responsive so it looks fantastic on desktops, smart phones and other mobile devices. Besides being mobile ready it has also been search engine optimized including use of a CDN to improve site speed and performance.